Daily coaching qustions to keep your life in balance. Broaden your perspectives. Question your life regularly. STOP and THINK - Just a few thoughtful minutes each day can change the quality of your life. And that is our guarantee! Through the power of questions, we can explore new territory, re-consider old ground in new ways and explore new dimensions of living. These questions enhance awareness, discipline and balance - 3 keys to a rich and fulfilling life. Open new doors to more freedom, contentment and harmony. A part of you knows the way and knows the answers. Access that wise part of you and have more meaning, growth, discipline and love in your life. 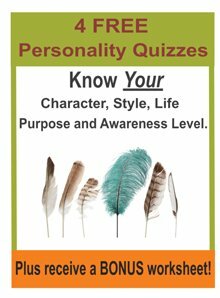 Stay on top of your life with 12 weeks of Daily Balanced Questions that cover all aspects of your life. Receive 60 emails over 90 days to support you in building a new relationship with life. Stay on top of what is most important to you. Explore your relationship to wealth. Develop more creativity, discipline and mindfulness. Go to deeper levels in thinking, feeling and sensing. 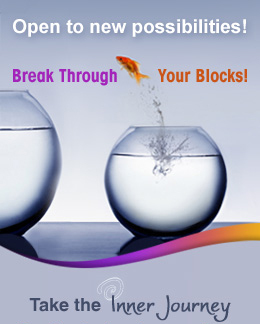 Break through the blocks that hold you back in life. Uncover your inspiration and passion for your heart's desires. Discover the power of Balanced Living Smart Question Coaching emails. "Becoming and being are the yin and yang of our lives. One outer, one inner. Today, we value becoming to the exclusion of being; we applaud human becomings. The secret is balance." Become a member of Higher Awareness and you will not only receive your Balance Questions Email Series, but 6 other themes on self control, emotions, developing mind, spirituality, prosperity and relationships, and watch yourself grow in all areas of your life. Experience a deeper relationship with life. Build a solid foundation you can apply to all areas of your life. Receive 90 days of daily smart questions and tips and experience more balance. We guarantee you will experience life differently! For over 10 years, we have been using Smart Questions to coach thousands of individuals around the world. We know from experience how powerful questions are in raising our consciousness and empowering us to live differently. Please give them a try - you won't look back. Order now through our secure server to get instant access to our Balanced Life Questions email series -- great questions daily to broaden your experiences and perspectives. You are fully protected by our 100%, no risk money-back guarantee. If you're not satisfied with what you get from us, just email us and we'll refund your payment. You also get access to our 6 other themes of Smart Question emails (over 360 questions) for $19 per month or $149 per year. It is like having your own daily coach giving you new perspectives on your life. No matter where you are in your life, we have the right questions for you. They'll help you confidently move forward on what matters most to you. P. S. Not convinced? Try us for free! Subscribe on the top-left side of this page to our free Smart Question sampler -- a mix of messages from all of our different series. Every message offers inspiration, tips, a Smart Question and extra support to bring more to your life.